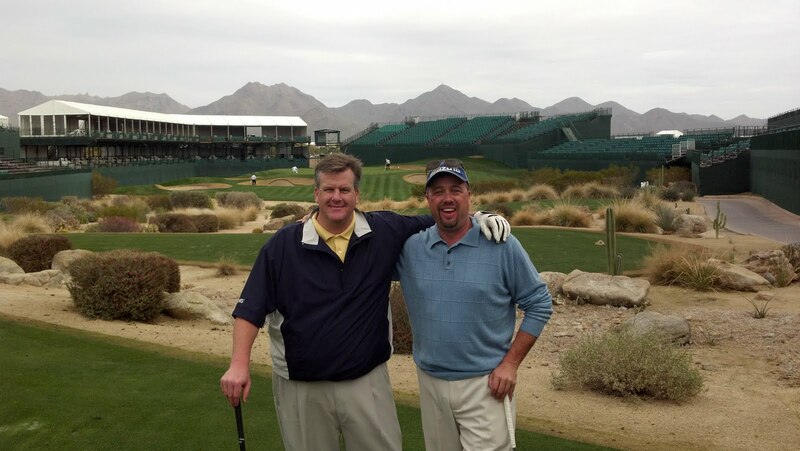 Golf Zoo's Blog: "CP's Top Ten" for Scottsdale - Fall, 2011! "CP's Top Ten" for Scottsdale - Fall, 2011! CP's Top Ten for Scottsdale has been updated! Check out the new list here. Ocotillo Golf Club - Ocotillo cracked into my Top Ten this year, replacing The Raven at South Mountain. Although I still love the Raven, for something a little different, and a more traditional feel, Ocotillo is my new favorite. With 3 distinct 9's, great conditions, and maybe the best spot in Arizona to have lunch after your round, you can't go wrong. Another advantage (or disadvantage) is that there is a lot of water which sets in apart from most of the dry, desert layouts here. The staff is laid back and friendly, and make time for lunch afterwards. Sit outside on the patio, listen to the waterfalls, and enjoy. O.K. gang - there it is - "CP's Top Ten" - If you're planning a trip to Arizona this year, you can't go wrong with any of these great venues. Feel free to call me at 888-867-6911 for more details... hit em straight! Golf Zoo Now Offers TripCaddie!